At Vissum a team of ophthalmologists, who are highly specialised in retinal disorders, will diagnose and recommend the most advanced treatments available for each disorder, in coordination with other specialists. From the application of the most effective drug treatments or vitreoretinal surgery to being able to perform monitoring and reviews at the optimum frequency required, our patients have the guarantee of knowing they are being treated by one of the best specialist retina teams in the country. The retina is the nerve tissue that lines the inside of the eye. The first neurons of the visual pathway are located in the retina. The information received by the retina is transmitted to the brain via the optic nerve. The macula is an area in the central part of the retina and it is responsible for 90% of our vision. 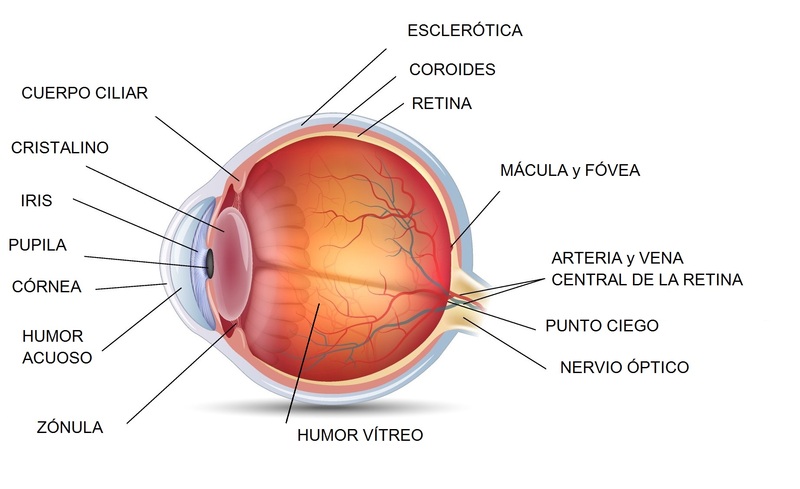 If the macula is altered this does not mean we become blind, but rather that we lose our central vision, which is the vision that allows us to identify the details of a face, read or thread a needle. The main condition that affects the retina is age-related macular degeneration, this degeneration is linked to ageing and is the leading cause of the loss of vision in people of over 50 years of age in developed countries. Currently, more than 750,000 Spaniards of over 65 years of age suffer from this condition. Diabetic retinopathy is also common, it is a condition that diabetes sufferers may develop (in Spain it is estimated that around 13% of the population over 18 years of age have this condition) and if it is not treated it can lead to blindness. Other severe complications are epiretinal membranes, macular holes and oedemas, the so-called floaters and retinal detachments. What treatments and surgeries are available? The main treatments used today are both pharmacological and surgical. Pharmacological treatments. Many retinal conditions are treated with drugs that are administered orally or intravenously, but there are an increasing number of treatments with drugs that can be injected directly into the eye. These include the antiangiogenics (for the treatment of age-related macular degeneration, retinal lesions in diabetes, vein occlusions or near-sightedness), anti-inflammatories and antibiotics. Scleral surgery. This is used to treat some retinal detachments and requires less postoperative rest than a vitrectomy. The technique involves placing a scleral explant and applying laser therapy or cryotherapy to close the hole. Laser photocoagulation. This is used as a treatment for diabetic retinopathy and to close the holes that may appear in the retina and thereby reduce the risk of retinal detachment. This is the surgical technique most commonly used in the treatment of retinal disorders. It is a microsurgical technique that allows us to manipulate the retina from inside the eye thanks to small holes through which we are able to introduce a variety of instruments. This technique is used in the treatment of complex retinal detachments, vitreous haemorrhage, macular holes, membranes that grow on the surface of the retina and other pathologies. Which symptoms require urgent examination? The symptoms that suggest there may be a serious problem with the retina are seeing floating spots or lines that generally move in the direction the eye is looking in, flashes of light that are visible with open eyes under low light conditions, or seeing a curtain that covers a part of the visual field. These symptoms are related to a possible vitreous detachment, retinal tear or retinal detachment. On the other hand, conditions affecting the macula (the retina’s central area) are often accompanied by a spot in the centre of the field of view or blurred vision. 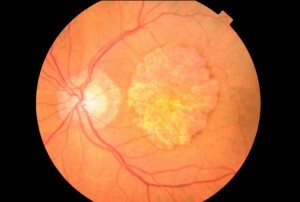 The condition that most often causes these symptoms is age-related macular degeneration. At Vissum we have a team of highly skilled retinal specialists, with decades of experience in retinal surgery who have published numerous articles in scientific journals and undertaken clinical trials on treatments. All this makes us a reference point in retinal ophthalmology and we conduct more than 500 vitrectomies annually and 250 surgeries to correct retinal detachments. In addition, the entire focus of Vissum’s R&D&I Department in the field of retina is on trying to provide better medical and surgical treatments for patients affected by age-related macular degeneration.